I'll send you a brief E-mail with executive summaries of all the new columns, deals, blogs and news about business travel that post at JoeSentMe.com. There are links to the best of the Web, too. I send out only one newsletter a week. It contains a message from me about the news of the week and developments at the site. It also includes executive summaries of the news, deals, columns and blogs that have posted on Thursday evening at JoeSentMe. The newsletter is free and, like the site itself, has no advertising, no promotions and no commercial content of any time. UNSUBSCRIBES AND ADDRESS CHANGES If you choose to leave the mailing list, or if you need to change your address, contact me at jbrancatelli@joesentme.com. I'll deal with your request personally. My E-mail address also is listed prominently in every weekly newsletter. I DO MY BEST, BUT... I devote an immense amount of time and resources on fulfilling your newsletter request, but I cannot be responsible if it doesn't arrive. If your spam filter hates me, or if your webmaster starts rejecting mail, or if the moon is in the seventh house and my newsletter disappears into a black hole instead of dropping into your inbox, you're on your own. Absolutely can't live without my Friday newsletter? Make a contribution to the site and become a member. I guarantee newsletter delivery to members, who receive a special edition which includes links to the current stories and complete site access. Annual membership is $129. 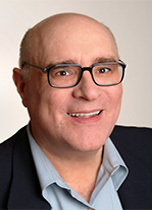 Joe Brancatelli is a publication consultant, which means he helps media companies start, fix and reposition news-papers, magazines and Web sites. He started his career as a business journalist and created JoeSentMe in the dark days after 9/11 while he was stranded in a hotel room in San Francisco. He lives on the Hudson River in the tourist town of Cold Spring. JoeSentMe is Copyright © 2017 by Joe Brancatelli.